January 15, 2019 — MACOMB COUNTY, Mich. – Officials are investigating a Warren post office employee after piles of mail were never delivered. The investigation includes several areas in Warren. The worker at the Warren post office is in trouble for mail theft. 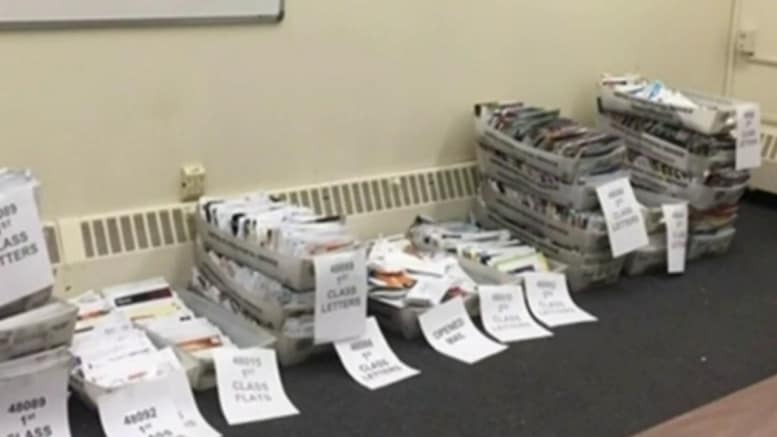 A spokesperson for the post office tells Local 4 they got a call on Jan. 9 about mail found at a local apartment complex. A pest control worker found the mail inside the apartment of a mail employee at the Warren post office. Local 4 obtained pictures of the boxes of mail workers collected at her apartment. The post office said the mail dates back to February 2018. That employee is facing mail theft by postal employee charges. A spokesperson sent Local 4 this statement. The employee was placed on administrative leave pending the completion of the investigation.